Charms is a storehouse for the data for the Kent City Music Department. It will allow access for parents to log in and see information on their students account. They will be notified of upcoming information. Parents will be made aware of volunteer opportunities. 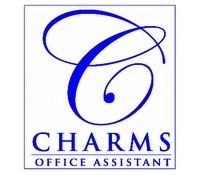 Charms will have the up to date calendar and a storage house for handouts that are given to students in class. Students will use the software to upload practice cards and utilize the recording studio for playing assignments. Hover over ENTER/LOGIN in the upper right corner of the page. Follow similar instructions to that you use to login online.